Over this past year, I have gotten the opportunity to work with Cloud B a number of times and it's been pretty great since I have a little one who doesn't like to go to sleep in the dark. We've been on a regular schedule to where our one year old is now use to a certain routine when putting her to bed. This includes making sure some bed time music and a night light is on so that she doesn't feel lonely when she goes to sleep. 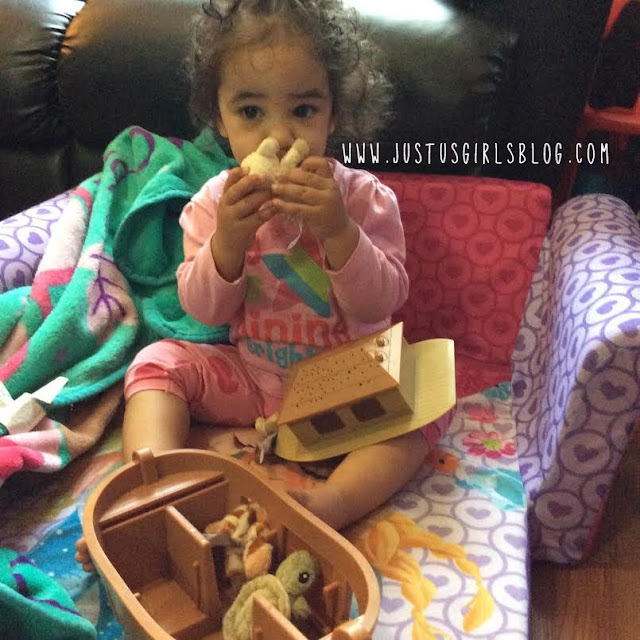 So when we had the opportunity to review Cloud B's Twilight Noah's Ark, I knew she would love it. 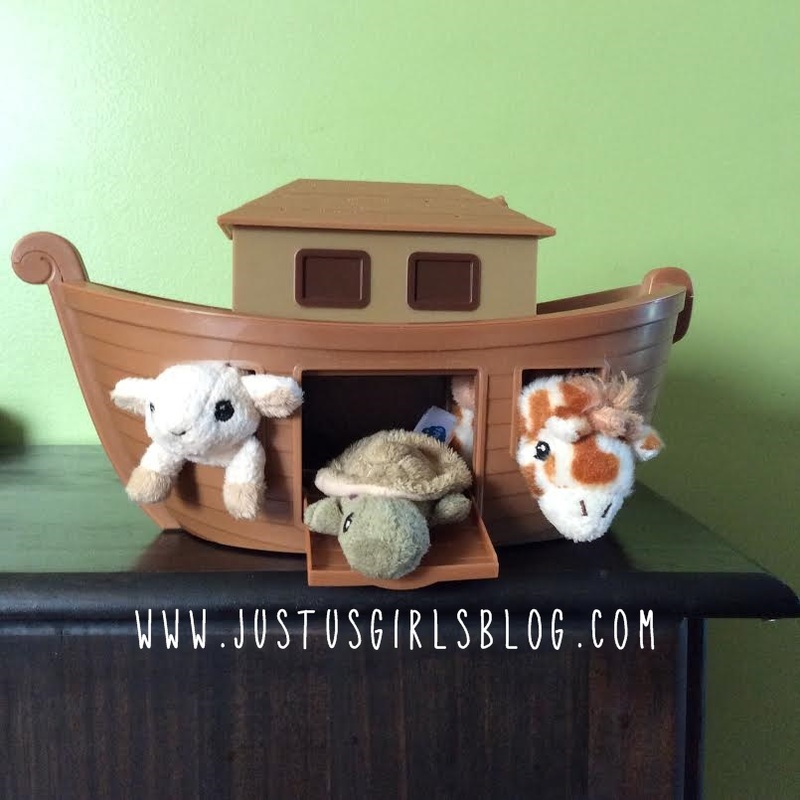 Noah's Ark is a story that I'm very familiar with growing up in a Christian home, it's also one we've shared with our older two kids and can't wait to share the story with our youngest one. The story of Noah's Ark and animals two by two is now brought to life for kids to enjoy with an Ark that projects a starry night for your child's bedroom ceiling and walls. 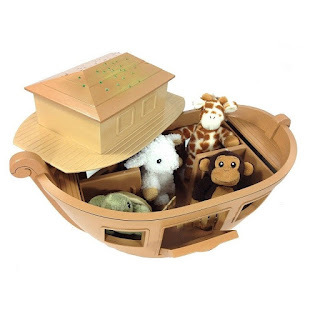 Not only does this Ark have lights that automatically shut off after 45 minutes, but the Ark also comes with four mini plush animals to help transform playtime to nighttime. 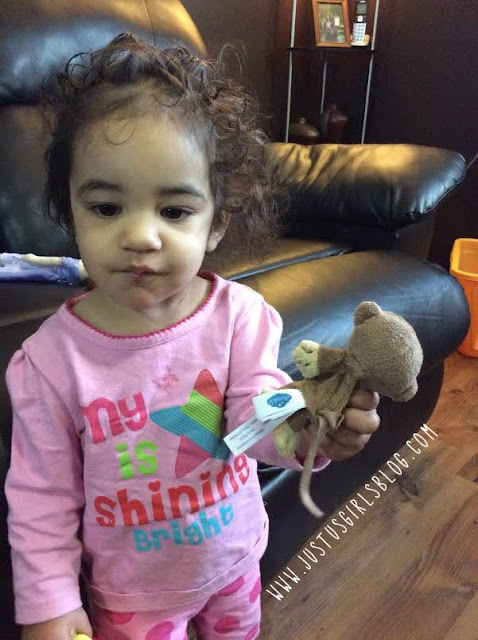 My little girl has been enjoying playing with the plush animals and Ark since the top of the Ark is detachable and makes for great play time. My older two even love playing with the Ark with my little one. They love placing the small plush animals on their fingers and talking to their younger sister. The Ark has been a great toy to play with before bed and then I place the Ark on her dresser and turn it on for her before I leave her room. Disclosure: All opinions are my own. I received Twilight' Noah's Ark at no cost for the purpose of this review. No other compensation was received.